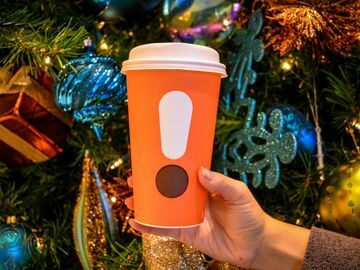 By Olivia White, Senior Public Relations and Social Media Coordinator, Dunkin' Brands Inc.
With the Holiday season right around the corner, for many of us that means cooler temperatures and cozying up by the fire with a Hot Chocolate. 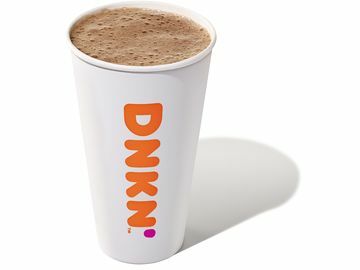 With today being National Hot Chocolate Day, we are celebrating here at Dunkin’ with five chocolatey drinks to keep you warm this winter! 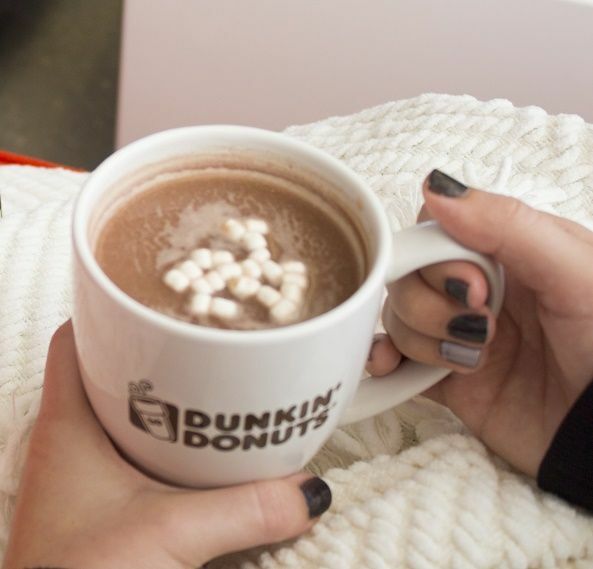 For a Hot Chocolate with just the right kick to keep you energized through the Holidays, enjoy a Dunkaccino. 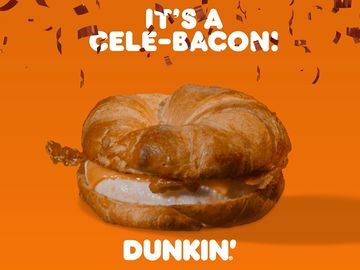 The unique combination of Hot Chocolate and Coffee flavors is a Dunkin’ classic. Our newest hot chocolate features the rich cookies and crème flavors of your favorite Oreo cookie, in hot chocolate form. It’s only available for a limited time this season, so enjoy the chocolatey delight before it’s too late! This hot chocolate is a delicious combination of sweet and salty. For an even more indulgent treat, try the Salted Caramel Hot Chocolate in our recipe for Salted Caramel Brownie Bites. For a cool and refreshing twist on your favorite cocoa beverage, enjoy a Mint Hot Chocolate. It makes for a delicious Mint Hot Chocolate Ganache to top your Brownie Pancakes. 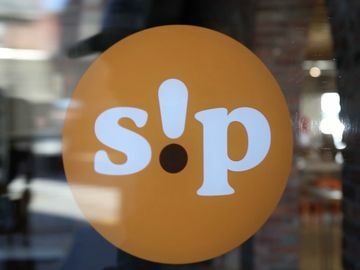 Check out the recipe our own Chef Molly. For some, there is nothing like an Original Hot Chocolate to warm up with through the winter. For an extra special Holiday treat, try making these fun Mini Hot Chocolate Cookie Cups to enjoy your Hot Chocolate in. 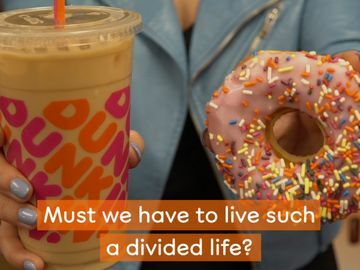 How to you keep warm through the winter with Dunkin’? Show us how you are celebrating National Hot Chocolate Day on Facebook, Twitter and Instagram.